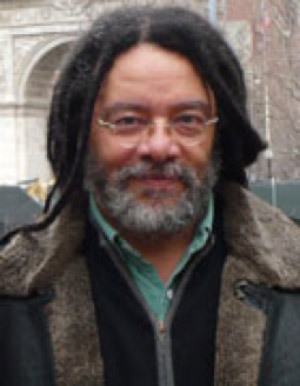 Professor Paul Gilroy is a scholar of Cultural Studies and Black Atlantic diasporic culture. It is not over-exaggeration to say that all current work on the concept of the Black Atlantic owes an immense debt to his formulation and development of the concept in his seminal book, The Black Atlantic: Modernity and Double Consciousness (1993). His other works include There Ain’t no Black in the Union Jack (1987) and After Empire (2004) (published as Postcolonial Melancholia in the United States). Paul taught at South Bank University, Essex University, and then Goldsmiths College for many years before leaving London to take up a tenured post at Yale University, where he was the chair of the Department of African American Studies and Charlotte Marian Saden Professor of Sociology and African American Studies. He returned to London to become the first holder of the Anthony Giddens Professorship in Social Theory at the London School of Economics before he joined King’s College London in September 2012. Paul’s areas of scholarly interest encompass postcolonial studies, particularly with regard to London, postimperial melancholia and the emplotment of English victimage; the literature and cultural politics of European decolonisation; African American intellectual and cultural history, literature and philosophy; the formation and reproduction of national identity especially with regard to race and ‘identity’; and the literary and theoretical significance of port cities and pelagics. Paul has also published on art, music and social theory.